The electrical malfunction is the main culprit for fire accidents in many houses. 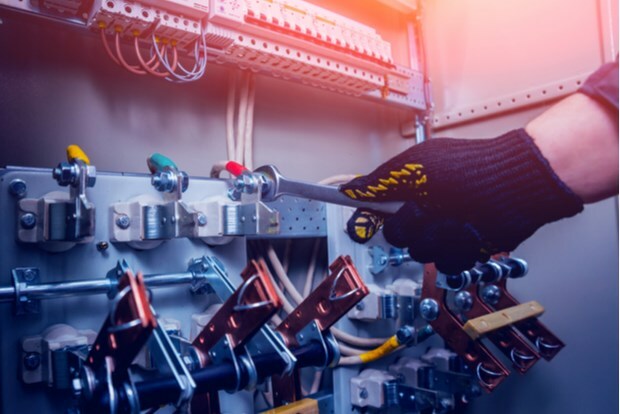 You need to be alert and aware of any warning signs that symbolize that there is an issue with the electrical wirings or system of your house. Take responsibility to prevent house fires or lower the risk of electrical shocks in your house by keeping an eye out for these warning signs of trouble. Despite considering the aesthetics of the house, the undisturbed wiring system is best suitable when it especially comes to domestic purposes. The real trouble starts when it’s disturbed or altered. The use of too many extension cords may lead to short-circuiting and may cause a fire. So, it is better to use extension cords for short periods. Flickering or dimming of light is the sign of low power if the fixture is not too old. The flickering might happen more likely if major appliances like heaters, refrigerators and air conditioners are wired to the same circuit. You can get in touch with an electrician about moving lights to different circuits or new lines. Most of the new appliances might give off very mild odor a few times when you turn it on. But, it is a warning if you sense a strong odor from the outlet. Immediately turn off the switch and unplug everything connected to it. Call with a qualified electrician and check it out. Act immediately if you witness sparks from an appliance or an outlet. Remove the gadget from the socket, and unplug everything that is connected to it. Get in touch with an electrician as soon as possible. You don't need to worry if the problem is within the gadget itself. The fuses are designed to cut off the power when there is short-circuiting to prevent overloading. If there is a frequent fuse blow when you use a vacuum cleaner or hairdryer, the problem is with the appliance. If using a single outlet causes the fuse to blow frequently, the circuit is probably overloaded. Get in touch with the best electricians in the following cities: Chennai, Bangalore, Delhi, Hyderabad, Mumbai, Ahmadabad, Kolkata, and Pune.